This is the name given to the surgical procedure which removed loose eyelid skin. A blepharoplasty can be performed either under general anaesthetic (being put to sleep) or awake using local anaesthetic. Under local anaesthetic the area is completely numb so you don’t feel anything. The surgeon delicately removes the loose eyelid skin and closes with tiny sutures (stitches). The actual surgery is not painful – local anaesthetic numbs the eyelids before surgery takes place. After the procedure the eyelids can be sore and swollen and patients are recommended to ice the area. Patients generally take about 1 week off work to allow swelling and bruising to settle. After 2 weeks, people will not be able to tell that you have had surgery as the small stitches will have been removed. Can I see a blepharoplasty before/after photo? Our patient has had a blepharoplasty in Melbourne. The after photo was taken approximately 4 weeks after the procedure. Please note that results can vary. 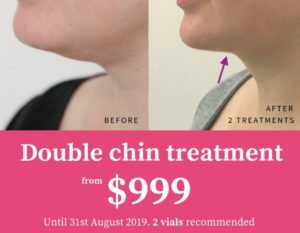 Mr Jonathan Burge from Niche Clinic in Melbourne charges between $3500 and $4000 for the entire procedure (March 2017. Cityskin takes no responsibility for prices as costs can vary. Speak to your Surgeon about your individual treatment cost). How can I book a consultation for a blepharoplasty?